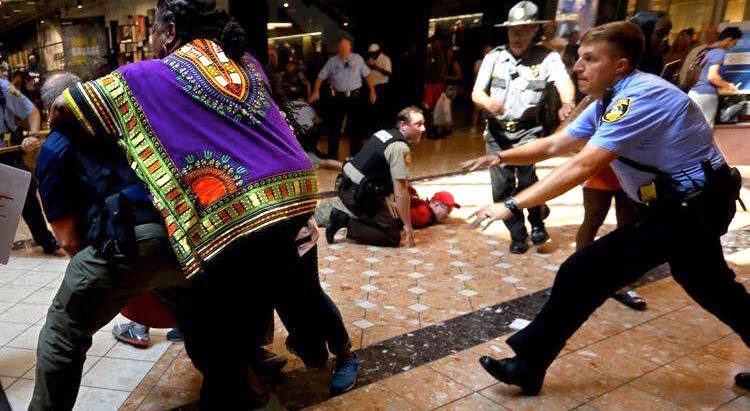 Richmond Heights Police responded to photos of a woman being arrested during the protest at the Galleria on Saturday, as reported by the Post-Dispatch, by posting on Facebook a photo of what looks like the woman jumping on the back of an officer before she was arrested, the department said. “…the full story wasn’t shared,” according to the department. The department said Richmond Heights and St. Louis County Police arrested 23 people. Charges included Trespassing, Rioting, Resisting Arrest, and Assault on a Law Enforcement Officer. Richmond Heights Police Captain Gerry Rohr attended “career day” at St. Mary Magdalen School. Shortly thereafter the police academy received several applications that were completed in crayon, the department reported. Employees on the 16th floor of University Tower in Richmond Heights discovered a fragment of a bullet fired sometime Tuesday night or early Wednesday morning KSDK reported. Richmond Heights police did not receive any calls for shots fired overnight, according to KSDK. They’re now trying to find out if there is any surveillance video, and so far, no suspects. It’s the same floor as First Rule Firm and Broadcast, according to the office directory. I have lived in Richmond Heights, Missouri for over 18 years and I have loved living here. Tonight was the first time I felt that the Richmond Heights Mayor and Council let down their constituents by voting for the 5 municipality fire department consolidation, known as East Central Fire Command Participation Agreement (Bill 5503/ECFC). The administrative staff of Richmond Heights, Brentwood, Maplewood, Rock Hill and Clayton will consolidate IF the 4 other municipalities’ council agree upon it. Tonight Councilman Dan Sebban of District 4 abstained from voting because he was unaware they were voting tonight and he wasn’t fully informed of the Bill because he has been out of town. Councilman Danny Hebenstreit of District 4 hadn’t spoken to his constituents but voted yes anyway. Terry T. Nebbitt Sr., 67, of St. Louis was charged with his third stealing-related offense, after stealing 22 pairs of Polo brand boxer shorts from Macy’s on December 27, 2016, according to court and police records. Nebbitt hid the shorts in a bag and walked out of the store without making an attempt to pay. He was caught outside the store and the items were recovered. He had previously pleaded guilty to stealing in Brentwood and St. According to a Richmond Heights police report, Pawel Rynkiewicz, 36, of Olivette, robbed the Pulaski Bank (6510 Clayton Road) at gunpoint on February 29, 2016. He was charged with the felony in St. Louis County on July 6, 2017. Rynkiewicz was previously charged June 2 with two felony counts of first degree robbery in Creve Coeur, where he implied he had a gun, the St. Louis Post-Dispatch reported. The Richmond Heights Pounders took the field Monday night in the opening round of the softball playoffs. The Pounders crushed their first round opponent 20 something to very few. It was a beautiful hitting display by the Pounders and prompted an immediate double header game against the rascally top seeded Logan Chiropractic team. Richmond Heights firefighters doused a fire in the second floor of the AB Green building Monday around 6 p.m., which Richmond Heights Fire Chief Steve Carman said was probably arson. He said there is no electric or gas to the building, so those options are out. He said the fire seemed to have started around an old book case. He said it looked like someone might have piled a bunch of stuff together to start the fire. The building is being demolished in preparation for a multi-story apartment building development. Brett J. Stubblefield II, 28, of Fulton, MO, was charged with stealing a Mavic Pro helicopter drone valued at $1,000 at the Apple Store in the Galleria on April 10, according to court and police records. The theft was captured on surveillance video and Stubblefield was identified from the video He confessed to stealing the drone and then pawning it in St. Charles. He later claimed the drone out of pawn and sold it on eBay. On May 21 at about 7:30 p.m., Richmond Heights Police offers responded to a report of shots fired at Andy’s Frozen Custard, 1604 South Hanley Road, the department reported on Facebook. Police reported there were five to six shots that likely came from a pellet or ‘air soft’ style gun. The shots damaged two windows in the front of the business. One person suffered a minor injury to a leg that did not require medical treatment. The shots apparently came from a moving vehicle on Hanley Road. 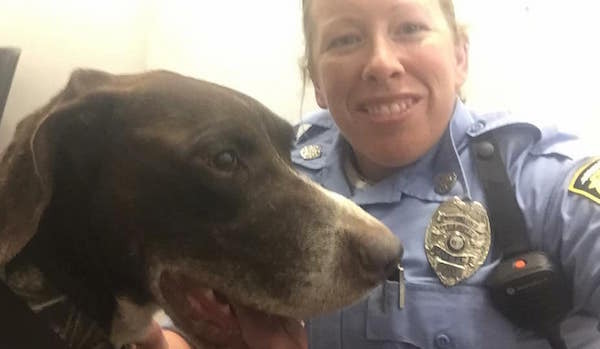 Richmond Heights Police officers Amy Loftus and Jeremy Matlock on Tuesday responded to Inerstate-64 for a dog hit by a car, according to the department’s Facebook page. 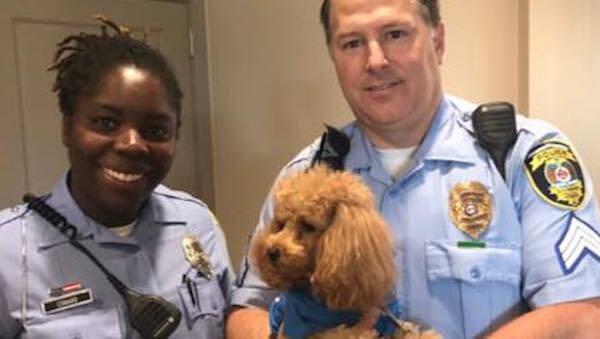 Several lanes were closed while the officers, with the help of a citizen, put the dog in a police car and took him to a nearby animal protective facility where he is being treated for scrapes and a hip injury. The latest report is that ‘Duke’ is doing very well. Officer Matlock is Richmond Heights’ newest officer. He was sworn in at a city council meeting in February. A man was charged with having heroin and another with stealing a video surveillance system — identified from surveillance video, according to court and police records. Nathanial Garrett Babcock, 28, of Florissant, was charged with possession of a controlled substance. Richmond Heights police responded to a call of an intoxicated person on November 25, 2016, at South Hanley Road and Dale Avenue. The officer pat-down revealed a bulge in Babcock’s pants that the officer recognized to be a spoon and syringe. Babcock admitted he had a syringe in his pants. Michael Lee Hurst, 49, of St. Louis, was caught in the parking lot of the Richmond Heights Schnucks with four bottles of tequila he hadn’t paid for, and was subsequently charged with stealing, according to court and police records. On March 25, Hurst selected the bottles and hid them in his clothing. A customer saw him do this and told a store employee. By this time Hurst had walked past all points of sale without paying; he was apprehended outside the store and the stolen property was retrieved. The Richmond Heights Police Department softball team (The Pounders) fell to 2-0 recently. A report of the 13-11 game on the department Facebook page features two team standouts. Last Monday, the Richmond Heights Pounders softball team lost 13 to 11 falling to 0-2 on the season. A star player was found in Officer Amy Loftus as the new mainstay at the hot corner. Detective Anthony Hayden homered for the 2nd straight game and demonstrated an outfield glove that can only be compared to a giant trout net. 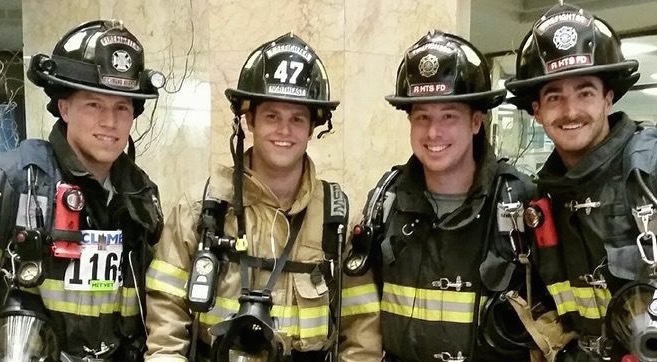 On Saturday, a few Richmond Heights firefighters took part in the American Lung Association Fight for Air Climb, they reported on Facebook. The firefighters completed the climb consisting of 40 floors while wearing all of their PPE (personal protective equipment), including breathing air from SCBAs (self-contained breathing apparatus). As a team, they raised $535 for the American Lung Association to help those with breathing complications. A Richmond Heights resident reported there was an apparent crime scene on Woodland Drive between Dale and I-64/40 Tuesday morning. “I just drove by and there was a ton of crime scene tape up, police cars and at least five black unmarked cars. I saw some crime scene unit person taking pictures of the inside of a van.” Inside the vehicle was Michael Hutson, 51, of Imperial, dead of an apparent self-inflicted gunshot wound. 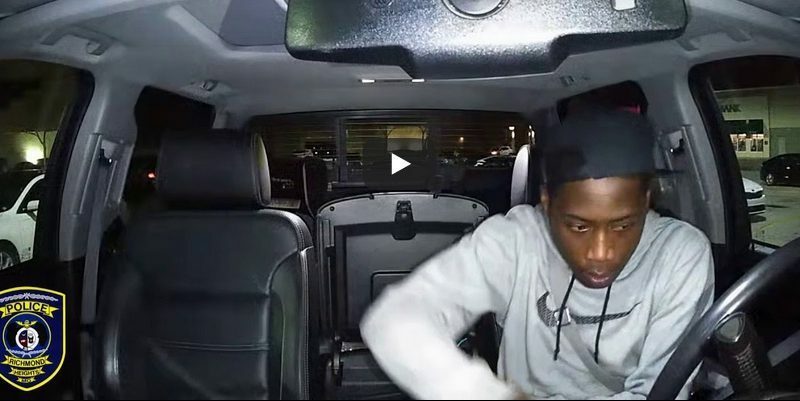 Hutson was a police ‘person of interest’ in the shooting of Kathleen, Hutson, 50, of St.
Alexander Anderson, 17, Callium Docherty, 17, and Kevin Jefferson, 18, acting together, were charged with doing $2,164 worth of damage to a 2015 Chevy Equinox in the 1100 block of Terrance Drive in Richmond Heights, on February 10. Docherty said the damage was done because Anderson and the victim’s daughter had been “fighting” and Anderson wanted to “get back at her,” according to records. The car was owned by the victim’s employer. According to the police record, three of the car’s tires were punctured, black paint was sprayed on the front bumper, headlights, hood, windshield, driver’s side windows and doors, rear hatchback and windshield, and rear license plate. Inside the car the driver’s side door panel and seat had been painted, and an oily chemical substance (WD-40) sprayed on the dashboard, steering wheel, center console and elsewhere. Javon Winston, 24, of St. Louis, was charged with second degree burglary in a Richmond Heights home break-in, which took place in August 2014, after police found DNA evidence leading to his arrest, according to court and police records. Richmond Heights Police responded to a silent alarm at a home in the 7300 block of Glades Avenue. The victim reported that every room of his home had been rummaged through. There was evidence of forced entry. 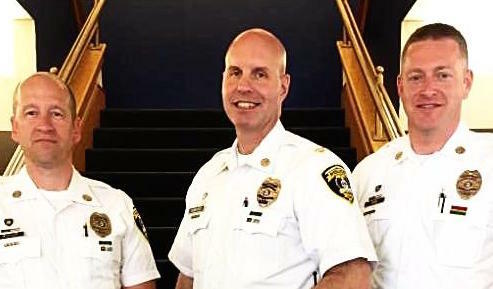 Two Richmond Heights firefighters were promoted, and a police officer was hired recently. They were pinned at the council meeting on Tuesday. Joel Craig was promoted to fire captain. He started with the Richmond Heights Fire Department in 2004 and has worked as a medical officer and lead private, and was promoted to captain in October 2016. John Soltysiak was promoted to battalion chief.